Since I was a kid I have been into birds. When I was about 12 my family lived on a small farm in central Washington. A friend of the family gave me some Pigeons. It was a great experiance for me taking care of them and learning about them. I could put them in a crate and take them anywhere to release them and they would be at home waiting when I got back. These birds where amazing creatures. I dreamed of learning how to raise falcons or hawks. I really developed a love for all birds. These days I love shooting photos of them and look for opportunities to do so. 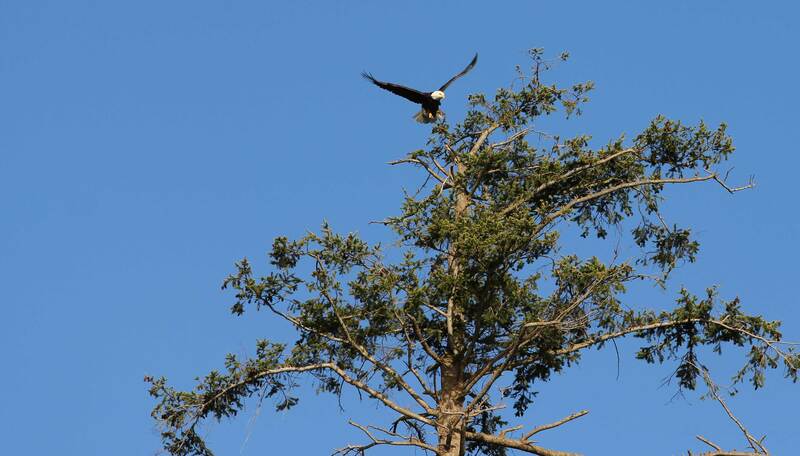 I love that I can mix two of my passions together photography and birds. As a family we regularly vacation in Central Oregon. One of our favorite activities is going to the Nature Center. The have some amazing birds there, some of which they are rehabilitating. 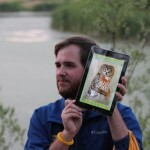 On one visit staff Naturalist Cody Osborn used an iPad to assist in his presentation and nature walk outside the center. He used a really cool app called iBird. The app is fantastic for identifying birds. It is a rich multimedia app. One of my favorite features is the ability to upload photos I have taken into the app. I can then play a slideshow and the app will cycle through the photo I have taken and play the corresponding bird songs with my photo. I think that is pretty awesome! The app has a tremendous amount of information about birds. I can see the value of this as not only a tool for in the field as they used it at the Sunriver Nature Center but also as a great tool for the classroom. Even better if the students can use the app as a foundational tool inside then move outside and further explore in the field. I spent this past Memorial Day weekend at my in-laws cabin as we normally do. One of the simple little fun traditions in putting peanuts out for the Jays. We put them just outside on the deck so we can sit watch them swoop down and grab them. It is fun to watch. My dog Toby can do this all day!This time I happen to have my Canon XA10 with my so I strategically set in out with the peanuts just in front of it. I hope you enjoy the footage as much as I do. By sure and check out my thought leader interviews! I am glad you stopped by. Let's talk about learning and technology. I post about whatever inspires me. Sometimes I post about music or other sometimes random things. Enjoy and please join the conversation!